Community + Collaboration + Coworking +Holistic Wellness Collective! Since 2016, The Laya Center has been bringing people together from all over the world in the pursuit of holistic wellness, collaboration, and coworking. In 2016 we launched The Laya Center, to show holistic wellness is more than a trend, it is a lifestyle. In 2017 we planned and launched our membership model which includes coworking to better help people adopt a holistic lifestyle and help holistic providers collaborate. In 2018 we perfected the membership model and created the wellness collective so that we can better reach 55% of our customer base (some members too) that travel from OUTSIDE of Missouri and the KC Metro area for services. In 2019 we are creating the mobile Laya experience that can be accessed from anywhere and it starts with providing the Laya wellness experience online! "The new health haven of the year!" 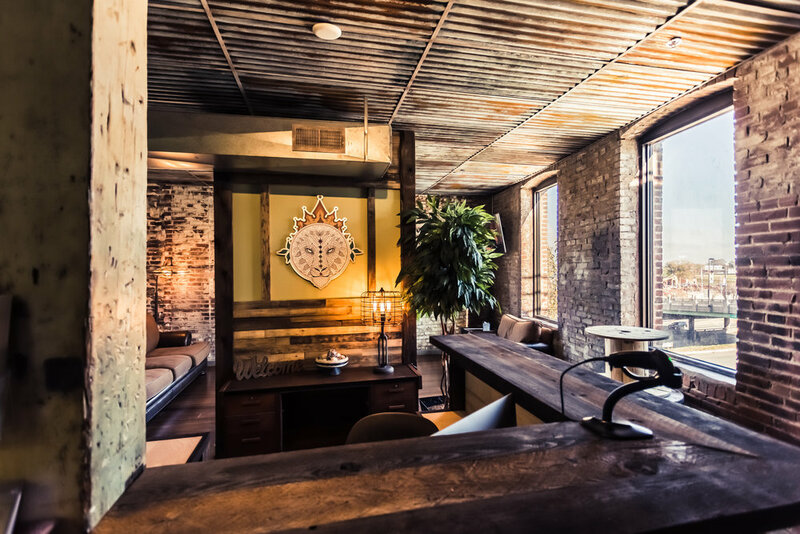 The Wellness Collective not only includes The Laya Center staff, but the providers we collaborate with via our Coworking Spa space located at 601 Walnut Street, Suite 200, in downtown Kansas City, Missouri. Our collective includes yoga teachers, personal trainers, herbalists, registered nurses, licensed mental health professionals, and so much more. Our membership only website gives you access to these experts, exclusive events, workshops, classes, expert consultations, live video streams, products, early access, and so much more! Only Natural Cryotherapy in Midwest! We are a Healthy KC Certified organization and a collective of licensed professionals that range from yoga teachers, massage therapists, mental health professionals, herbalists, registered nurses, estheticians, personal trainers, reiki healers, and more! Our center offers a variety of holistic services via The Laya Center staff in addition to our collective of holistic providers taking up residence in our coworking spa. A few of the special feature services our coworking spa offers is the only natural cryotherapy chamber in the midwest. Our cryotherapy is chemical and nitrogen free allowing for the only TRUE cryotherapy available in the area because your head is included in the treatment. We are one of the only providers in the metro offering yoni steams as well as energy medicine in our nature room. We offer so much more!